Responding to PM's announcement of investigation into radical group's apparent spying, group calls to investigate Netanyahu. The radical leftist organization Breaking the Silence responded to Prime Minister Binyamin Netanyahu's announcement Thursday night, according to which they will be investigated after having "crossed another red line." Netanyahu's announcement was sparked by a Channel 2 investigative report, which revealed that members of the organization apparently tried to gather classified intelligence about sensitive IDF operations along the Gaza border with Hamas. In response the radical group said in a statement that "the Prime Minister who turns the security services of Israel into a political tool - that's the true and dangerous crossing of a red line, and that needs to be investigated." "The attempt by Prime Minister Netanyahu to close the organization and harm soldiers and warriors who oppose the occupation needs to worry all those who are concerned about the future of the state of Israel," continued the group, saying it has nothing to hide from an investigation. 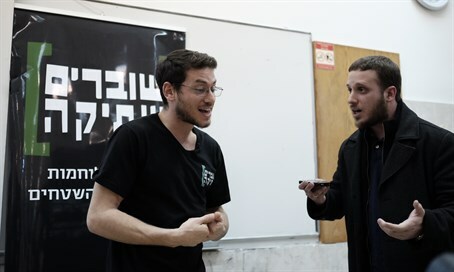 A large number of MKs from all sides of the political spectrum condemned Breaking the Silence on Thursday following the investigative report, with some noting that the attempt to collect classified intelligence is tantamount to spying. Justice Minister Ayelet Shaked (Jewish Home) echoed that criticism on Friday morning, saying, "it is clear to everyone that those who gather information of this type try to harm their state through illegal means, in a way that is reminiscent of spying." "The claim that that is for human rights is a lie," she added.